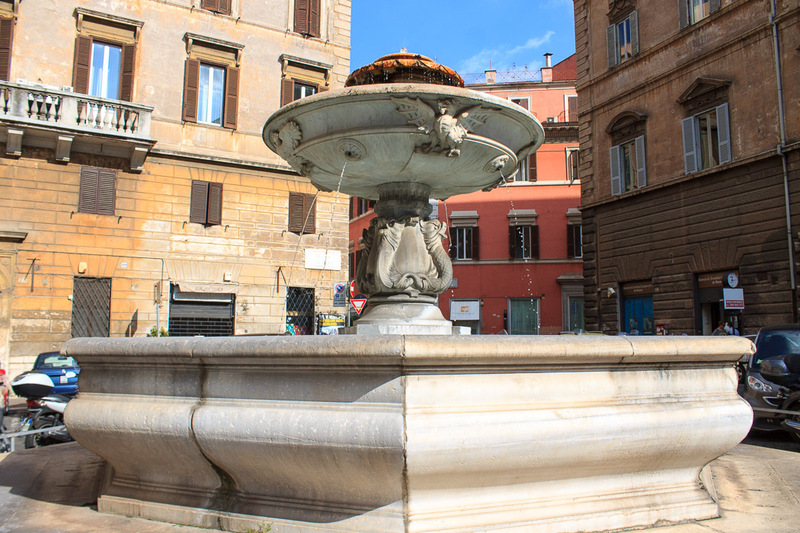 The Trullo Fountain was the first fountain of Giacomo Della Portam, designed in 1572. 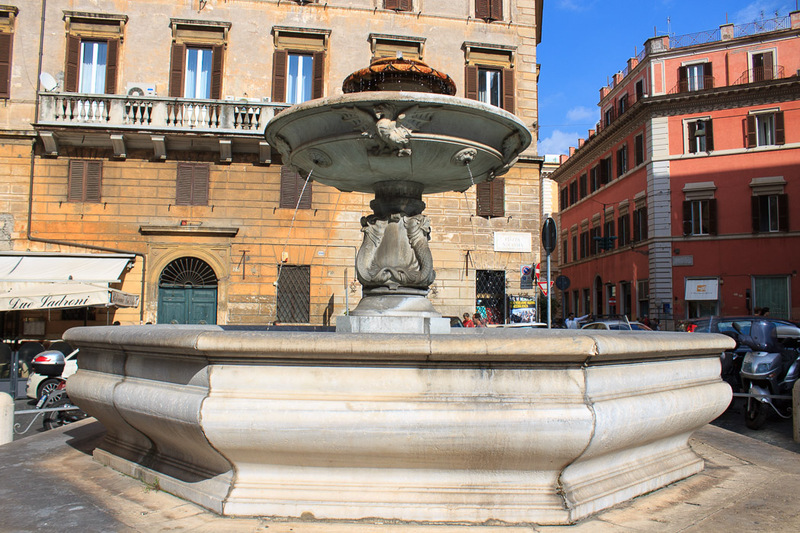 It is a typical bowl-within-bowl fountain with a decoration at the top where water comes out and spills into a small bowl, draining through four decorated holes into a octagonal large bowl at waist or chest level that rests on three octagonal steps. The pedestal holding up the smaller bowl is decorated with four fish, and the bottom of the small bowl is decorated with four dragons with open wings, the coat of arms of Gregory XIII Boncompagni. 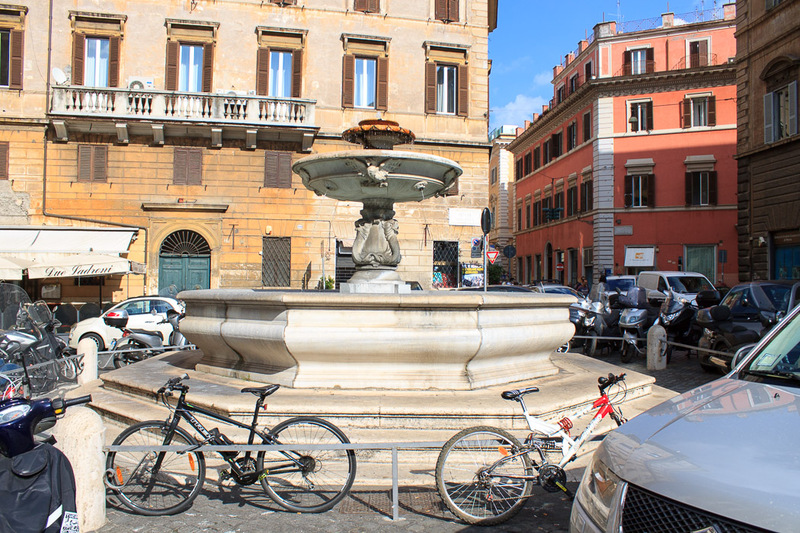 See all Trullo Fountain photos.